The group of people grew larger and larger. Jesus said, "The people that live today are evil. They ask for a miracle as a sign (proof) from God. But no miracle will be given as a sign to them. The only sign will be the miracle that happened to Jonah. Jonah was a sign for those people that lived in Nineveh. It is the same with the Son of Man. The Son of Man will be a sign for the people of this time." Jesus does not go about his ministry as a "proof show" for doubters or a "miracle spectacular" for the interested. For those demanding signs, there would be none. Jesus plants a seed that can fully germinate only after his death, burial and resurrection—the sign of Jonah. 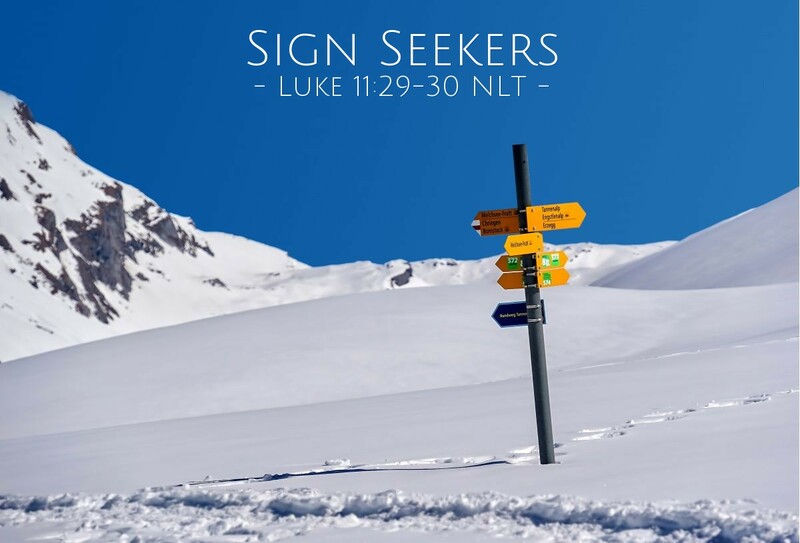 The bigger challenge is to believe before we see "our sign." The faith hurdle is to trust when all looks hopeless and the miracle we desire does not happen before our eyes and on our time schedule. If we have to have a "miraculous sign" to believe, we need to know that we have the formula backwards. Let's believe, trusting that what Jesus promises is just as true as God's promise was to send him! Father, I believe, but sometimes in the middle of my most difficult trials, I need help with a stronger and more stable faith. I believe, but help my unbelief! Through your Spirit, please give me the courage to walk in faith in moments of crisis, trial, and hardship, trusting that even if I do not receive my earthly miracle I can know I will receive my heavenly one. In Jesus' name. Amen.